Atsuro MORITA is Associate Professor of anthropology at Osaka University. As an anthropologist of science and technology, he has been working on the development of local engineering practice and technology transfer in Thailand and published a book entitled Engineering in the Wild (Sekai-shisho sha, 2012, in Japanese). His English publication includes ‘Traveling Engineers, Machines and Comparisons: Intersecting Imaginations and Journeys in the Thai Local Engineering Industry’. East Asian Science, Technology and Society 7-2, 2013, and ‘The Ethnographic Machine: Experimenting with Context and Comparison in Strathernian Ethnography’, Science, Technology and Human Values, forthcoming. Gergely MOHÁCSI is Assistant Professor at the School of Human Sciences at Osaka University. He has also been a Research Fellow in the Centre for Advanced Studies at Keio University since 2009. His research has focused on the embodied entanglements of technoscience and medicine in contemporary Japan, most notably in the domain of diabetes self-care. Currently, he is studying the co-constitution of things and values in the daily use and scientific development of medicinal herbs. 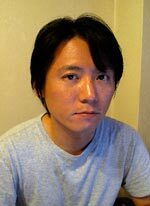 His most recent publications include “The Adiponectin Assemblage: An Anthropological Perspective on Pharmacogenomics in Japan” (East Asian Science, Technology and Society, 2013), and “Translations on the Move: A Review Essay”. (with Atsuro Morita, NatureCulture, 2013).